The city of Piraeus is the main modern port of Athens. The seldomed-visited Archaeological Museum of Piraeus was inaugurated in 1981. It houses artifacts mainly from the area of Piraeus including 4 rare, outstanding, bronze statues. Ancient bronze statues are very rare because they were often melted down and the metal was recycled for industrial and/or military purposes. 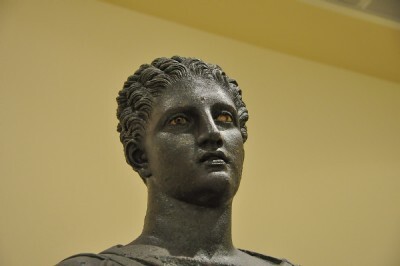 Four large bronze statues were found in 1959 during building excavations in Piraeus. They were found as a group and although deposited at the same time, they were crafted at different periods. They were probably deposited in the first century B.C.